Do you know that Breast Cancer is one of the most well-known cancer among all ? But the question is, how many of us really pay attention to it and do a breast self-check when showering ? 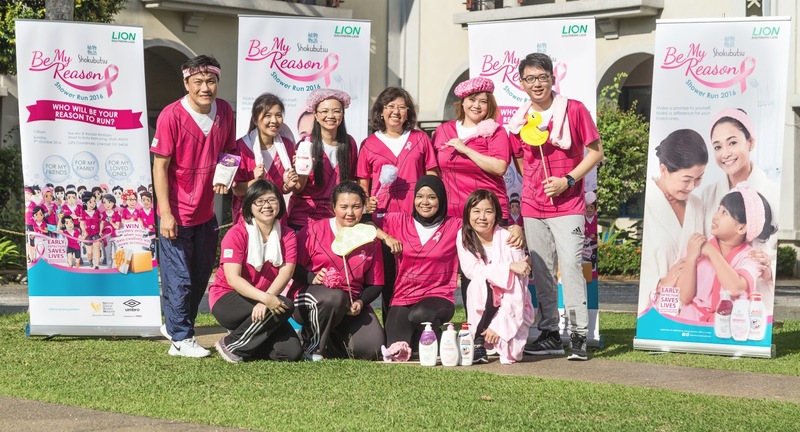 Well, in conjunction with the Breast Cancer Awareness Month, Shokubutsu is having one-of-a-kind-run event, Be My Reason Shower Run, to raise awareness on breast self-checks during your shower and as well as to encourage participants to run with their partner who symbolise their reason for committing to doing regular breast self-checks. If you would like to be part of this amazing cause and join the Shokubutsu Be My Reason Shower Run, then scroll down as we are giving away FREE PASSES, Shokubutsu Products Hamper & Mammogram (worth up to RM 1,500) to 3 Lucky Winners ! Scroll down to find out more..
RM 10 from the participation fee and RM 0.10 from every unit of Shokubutsu liquid shower products purchased from participating stores will be donated to National Cancer Society of Malaysia (NCSM) as a symbol of support of this campaign. Okay here's the fun bit. It's the SHOKUBUTSU Giveaway ! 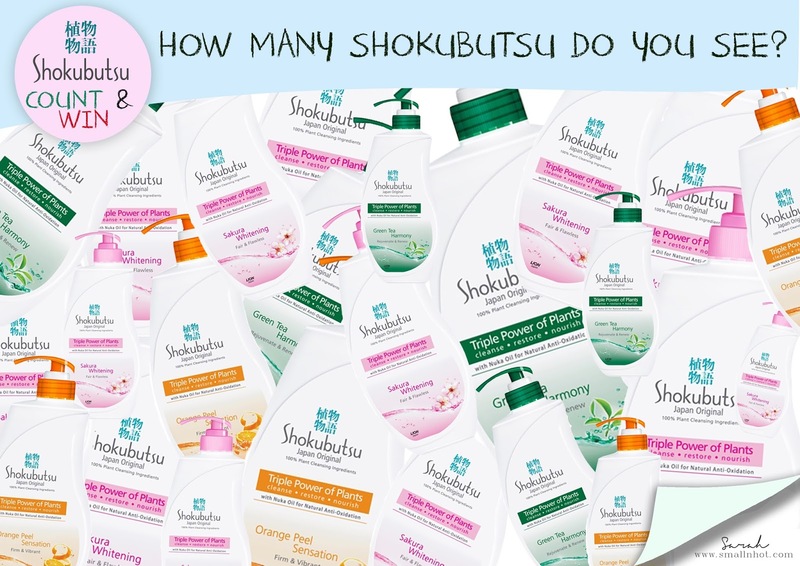 To win the Shokubutsu Products worth up to RM 1,500, all you need to do is..
THREE person with the correct answer will walk away with TONNES OF SHOKUBUTSU Productssss ! 1. Giveaway starts from 13 September - 20 September 2016 (11:59pm). 2. Giveaway open to all readers. 3. THREE winners will with the correct answer be selected randomly via Random.org. 4. Winners will be notified via Facebook Personal Message (PM) and has to reply it within 24 hours, else prize will be revoked. 5. 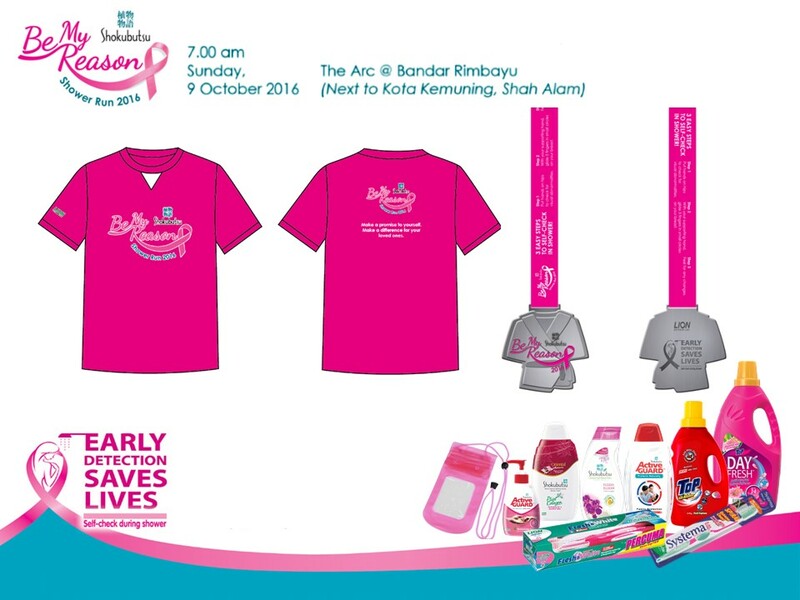 Winners have to collect the race kit for Be My Reason Shower Run on 7 & 8 October 2016 (Friday & Saturday), 11am to 5pm at The Arc, Bandar Rimbayu. 6. 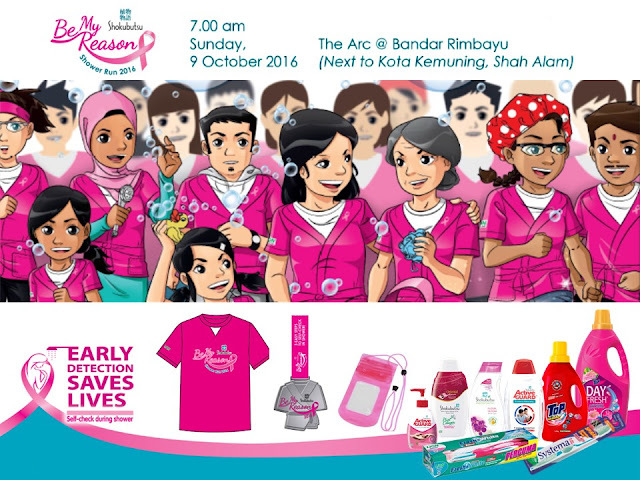 Shokubutsu products/hamper has to be collected from during the Shokubutsu Be My Reason Shower Run (9 October 2016). 7. All mandatory fields are required to be completed else entry will be disqualified. 8. Multiple entries, or entries I deem fraudulent will be disqualified. Oh Yes, I check ! 9. All prize giveaway decision by Small N Hot are final and conclusive in all circumstances and no correspondence will be entered into. 10. Shokubutsu Malaysia & Small N Hot reserve the right to substitute prize of equal or greater value at any time.